📅 August 2015 December 18, 2018 by Bruno B. 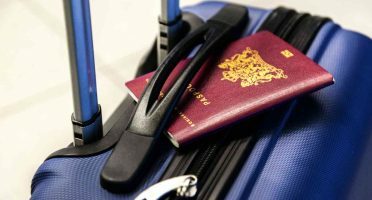 Getting access to an Internet connection to stay online when travelling internationally is sort of an Holy Grail for travellers. Specially if you are not willing to pay mini-fortunes to the mobile providers. At some point, we all need to stay connected when we’re abroad. The thing is: it’s very easy to end up with an astronomically large phone bill afterwards. So what can we do to ensure we are connected using our mobile abroad at the lowest cost possible? Basically there are three ways to access the internet via your mobile while abroad. You can use 3G/4G signal – in which case you’ll pay your for data usage – or you can connecting via Wi-fi. There’s also the option of purchasing a new SIM card. We all know WiFi rocks. It’s definitely the best way to get you connected to local broadbands for free. If you’re like me when I’m travelling, you ask for the WiFi password in cafés and restaurants even before the food arrives to your table. So WiFi is free and is fast. The problem is it isn’t a universal right yet and hence unfortunately is not free everywhere for everyone. This is the first obvious step but is surprisingly ignored my many. Booking.com has that option on the left side of its search page on “Facility”. But checking if WiFi is available is not enough as there are usually usage fees or time limitations in some hotels. Even if is marketed as “free”, it’s hard to know if it’s the kind of connection that can stream the entire videoclip of Shake It Off or if it will choke up over a simple Google search. So additionally what I do is go into the reviews of the hotel and search by “WiFi” words in the page. This way I can get to know opinion of real people if the connection is good in all floors or if it has any kind of fee. To dig even deeper, there’s resources like Hotel Wifi Test, a search engine that ranks hotels by the fastest WiFi. If your destination is Siberia, you’d probably have a hard time finding internet there. However, in the big cities, finding WiFi networks is relatively easy. And there’s no need to buy an overpriced coffee in Starbucks or a dreadful meal at McDonald’s. Well there are many mobile apps available to find nearby wifi connections, usually community-style apps. This means we can get not only the 100% free networks, but people also list the passwords for the protected ones. 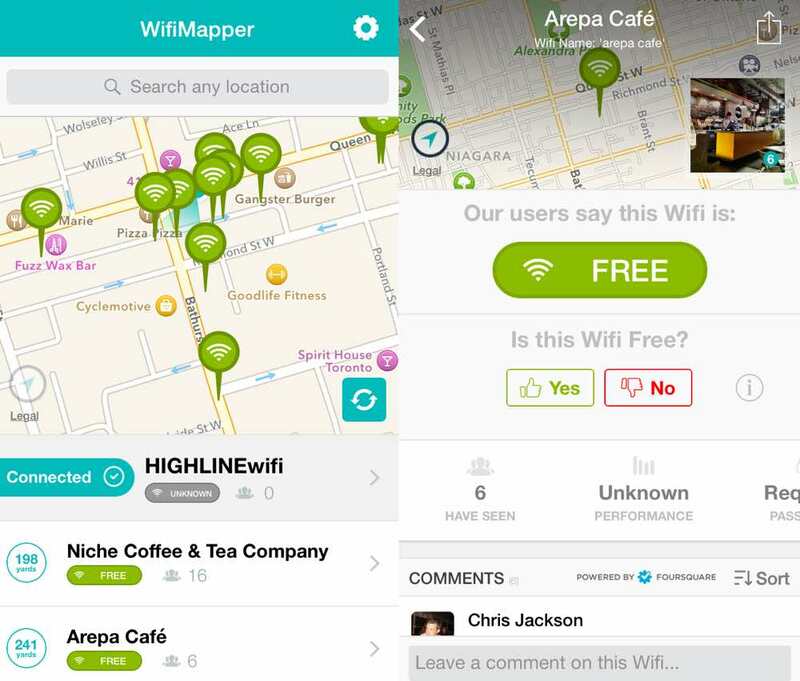 Obviously this works for wifi of restaurants, cafés and other public places, no private networks are shared. I think. WifiMapper and Instabridge have been working for me. Check which one has the greater number of WiFi networks on the place you’re going in advance as this will be dependent on the popularity in each country/region. You might even want to check other apps. In a nutshell, WiFi is good, reliable and makes everyone happy on the go. But what if you don’t have access to it? Sometimes accessing a w-fi network is simply impossible on the go and you need to rely on your roaming plan. Even though they’ve been dropping worldwide, roaming fees are an important source of revenue for mobile providers. Prices of calls, texts and data usage are still much higher comparing to local fees. 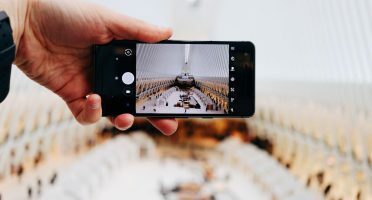 Before you leave on your trip, it’s strongly advisable to research the roaming options of your phone carrier on their website and assess if is cost-worthy to subscribe any of them. The countries in which the roaming fees apply. Roaming charges usually vary A LOT depending if you are heading to Mexico, France or Zimbabwe. If you are lucky, you might even find country-specific plans that can lower significantly the overall costs. The fees for text, voice and data usage. Think about what you really absolutely need. For short to medium trips, I recommend you to choose an option with the best value-for-money relation regarding data usage only.Why? Because with a decent data international plan (3G for a decent price per MB), you’ve got instant access to many ways to text and call for free. I’ll talk about them in a bit. Let’s jump into an example. Sprint is offering “free unlimited data” in some selected countries. Great marketing pitch. But if you check the details of the offer, you’d be using a 2G service which at the very least will be painfully slow. There are 1, 7 and 14-day 3G passes available to add to your plan – but it’s not “free” data anymore, is it? On a positive note, it’s great to see most of the mobile providers, both in Europe and in the U.S. are starting to offer a whole bunch of different international roaming plans. 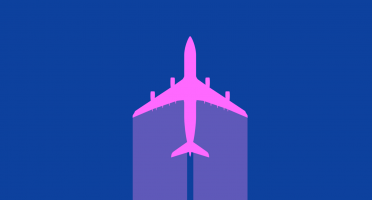 T-Mobile in the United States has roaming plans valid in 210+ countries, even though their price can be a bit prohibitive. In the UK, Three‘s Feel At Home service allows users to spend their normal UK allowance of minutes, texts and data when they travel to 18 countries worldwide. Just like they would in the UK. 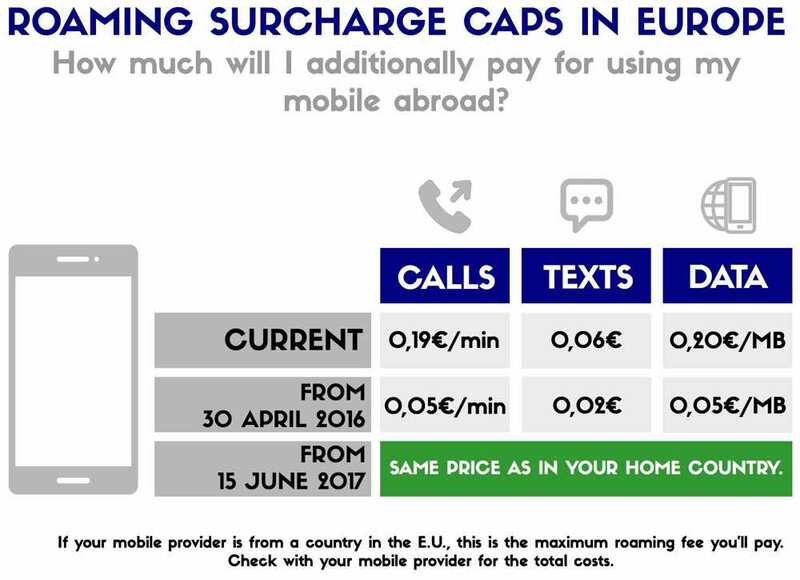 In the rest of Europe though, despite the promised efforts to abolish roaming fees by 2017, they continue to thrive. Current charge caps valid in European Economic Area countries. For other european countries, costs can sky-rocket to an outrageous 8EUR per mega byte. Auch. Again, look for specific details on your mobile provider and make sure you check ALL the information. Normally there are some eye-watering fees hidden in the smaller letters. But it might happen your provider is smart enough to anticipate the competition and come up with interesting roaming deals. Data is able to cover most of our travel needs nowadays. You’ll need to find out the plan that best adapts to your needs. In my case, I don’t care about texts or phone calls using my network abroad. These days, it’s starting to become kind of obsolete texting or calling someone using your own network. A simple “Hi Mom, I’m great, Bye” SMS can be outrageously expensive, depending on where you’re at. Messaging plans (buying X international SMS for a fixed price) are hardly a good deal either. And don’t get me started on the price of phone calls. Unless you need to make a lot of communications to local phone numbers or call someone with special requirements back home (e.g. non-smartphone users), you’re perfectly able to use data roaming also to call and text abroad. See the next section for more info. Even in your own country, you’ll probably start noticing everything is shifting to data. Messaging and calls – both voice calls (VoIP solutions) and video ones – using data is the new trend. Plus, if you can combine it with a WiFi connection it’s completely free for everyone, everywhere! That’s something unimaginable a few years ago. So which apps can you use to call and text for free? When my mother first got a smartphone, we used Viber to chat and call each other. Terrible. Dreadful user experience, bad call quality and a sluggish mobile app. iMessages are *free* messages sent over data from an Apple device (iPhone, iPad or Mac). FaceTime has the same requirements of iMessage. It allows audio and video calls WiFi from an iPhone 4 or lower and over 3G, 4G or WiFi from other Apple devices. Note these require both the sender and the recipient to have an Apple device registered with an Apple ID – using a mobile number or an email. 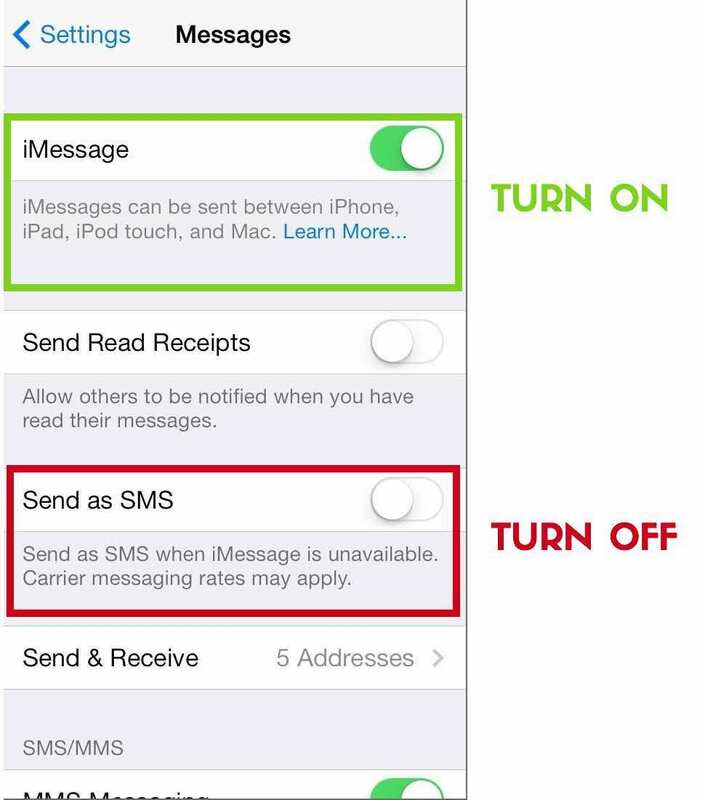 Make sure your iPhone has iMessage turned on and the backup option to send as SMS off. This way you are sure to avoid any charges from your provider broad. Mostly used as a video call tool, Skype can also be used as an instant message (IM) service by a staggering number of 600 million users. This is what I use to stay in touch with my family. You just need a email to create your username – no need to associate to a mobile number. A multi-platform instant messaging app which allows you to exchange text, image, voice or video messages with only data costs involved. This is my favorite IM app, even though they’re still mediocre in video and audio calls. A mobile number is required to register. The majority of smartphones now have the option to turn themselves into a personal WiFi hotspot, extending their connection to phones, laptops or other devices nearby. 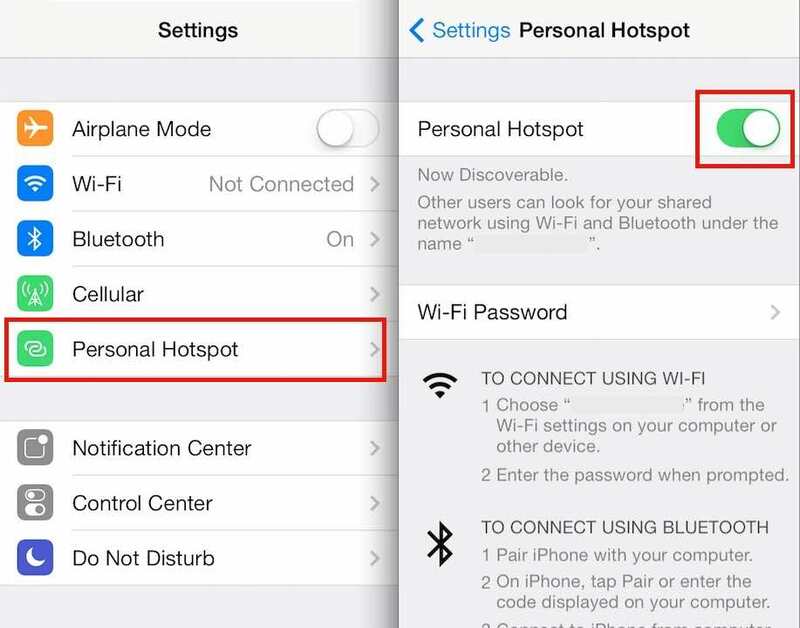 Enabling a personal wifi hot spot in iOS. Since there will be more devices feeding up on your connection, in theory this can seem more expensive. But not really. If you’re travelling in a small group or as a family, you probably only need ONE (preferably unlimited) roaming plan for all. You then can share Internet with the others for free, dropping the total costs of everyone. Plus, from my experience, it can be quite handy to have internet on your laptop provided by your smartphone. Check with your phone carriers for specific deals regarding personal hotspots. Finally, we all can use some Internet diet. I’m talking about common tasks you need to do when you’re abroad that take a big chunk of your available data. The idea is finding out ways to do the same but 100% offline. Google Maps now allows you to store maps for offline use. Data isn’t required for the GPS function on a smartphone and therefore you can locate yourself and check the map of the surroundings without paying roaming charges. Maps.me does the same – the catch is you’ll need to download an entire map of a city or region at once, taking up a bit more space on your phone. 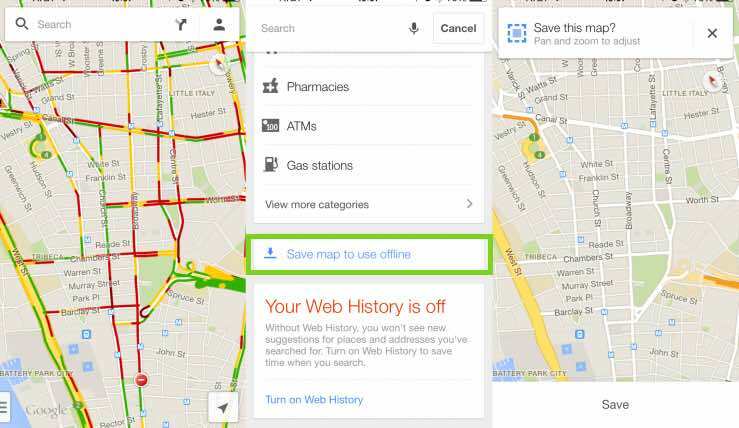 How to save maps in Google Maps for offline usage. Downloading offline alternatives to other large data-consuming tasks that are able to do the same (or similar) is a efficient way to leave more mega bytes available for other absolutely-essential-to-life-on-the-road apps. Like Facebook and Instagram. Also, apps like Onavo promise to reduce data usage by 80% by compressing your data downloads and contributing to a worry-free roaming. It’s free (for now) and is available in 90+ countries around the world. 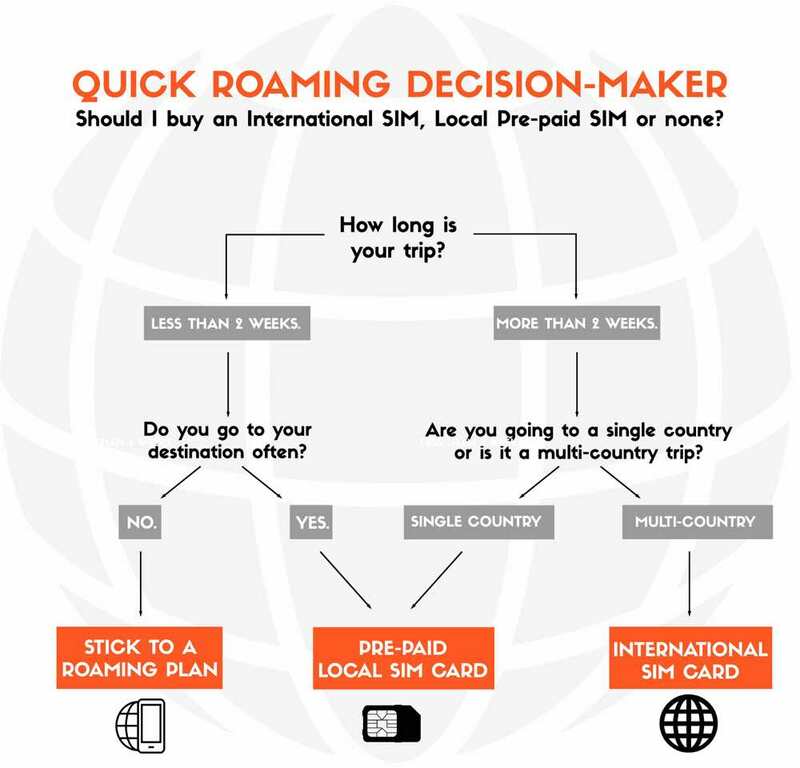 Specially if you’re a frequent traveler or if you’ll be away for a long period of time, buying a new SIM card can be an option to beat roaming costs. Providing you won’t have WiFi, buying a local SIM when you arrive at your destination this is the cheapest way to get online. Websites like PrePaid GSM or PrePaid Data Card SIM Cardare GREAT resources to find out the mobile operators in your destination and compare the costs of SIM activation, tariffs and prepaid offers available amongst them. 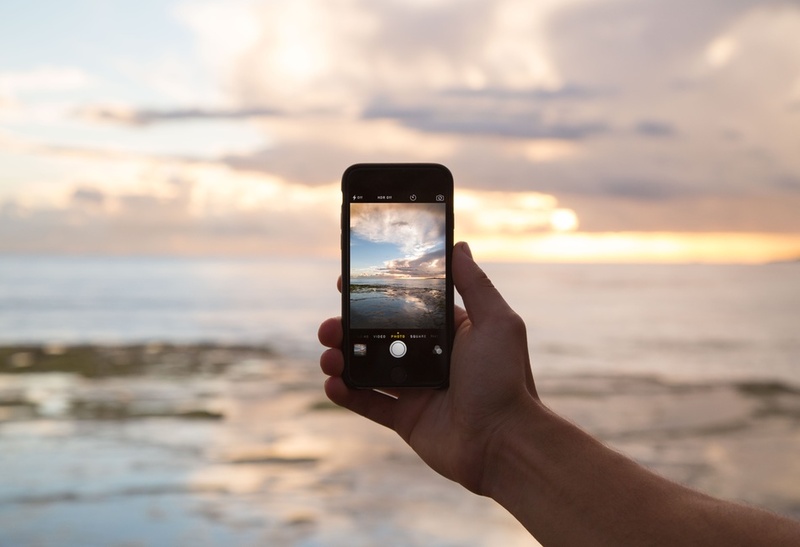 A whole new industry has sprung up because of the crazy high rates of roaming. You can now purchase an international SIM card, which they claim is 90% cheaper than standard roaming charges. This is not as cheap as a local card, but has the convenience of being a multi-country card. This means once you buy it, you can keep the same number wherever you are. Bear in mind the cost of calls, texts and data is still different depending on the country you’re in. The possibilities here are endless. The following companies offer a huge amount of international, data-only and country-specific SIM cards. DataRoam: International pre-paid data-only SIM cards. Data rates range from 0,05 to 0,27£ (British pounds) per MB, depending on the country you’re in. GoSIM: GoSIM cards work in almost every country worldwide, although 3G data is only available in 90 of them. WorldSIM: A WorldSIM card enables you to access pay as you go internet at very low costs in 168 countries worldwide. Data rates start from just 0,08EUR per MB, but can be a lot higher. Please note you’ll need an unlocked mobile phone and make sure you always double check in which countries is the SIM card valid and how long will it last – some have a 30-day validity only. Just by looking at the prices, I’m still not convinced global SIMs are a cheaper alternative. I do however understand their proposition value is in the convenience of being a SIM card that can be used anywhere in the world. And let’s be honest, anything is better than paying your home provider roaming rates. I’ve never used any of them, so please let me know if you did. I would love to hear your feedback and maybe you can prove me wrong! While the options to stay online when you’re travelling nowadays are more than many, although the majority are still very expensive. WiFi networks are still the easiest and cheapest option, allowing you to use virtually every data-dependent app on your device for free. For a backup plan when there’s no WiFi nearby, the best option is subscribing a decent roaming data plan from your provider. International data gives you immediate access to *free* text and calls as well, so as a general rule, there’s no need to purchase specific services for them. Finally, buying a local SIM card can also be a great option, specially if you’re staying for a long period of time in the same country. If you are on a round the world (RTW) trip, international SIMs are starting to become more popular and allow to call, text and use data from virtually anywhere in the world. Which resources and techniques do you use to get an Internet connection when you’re travelling?